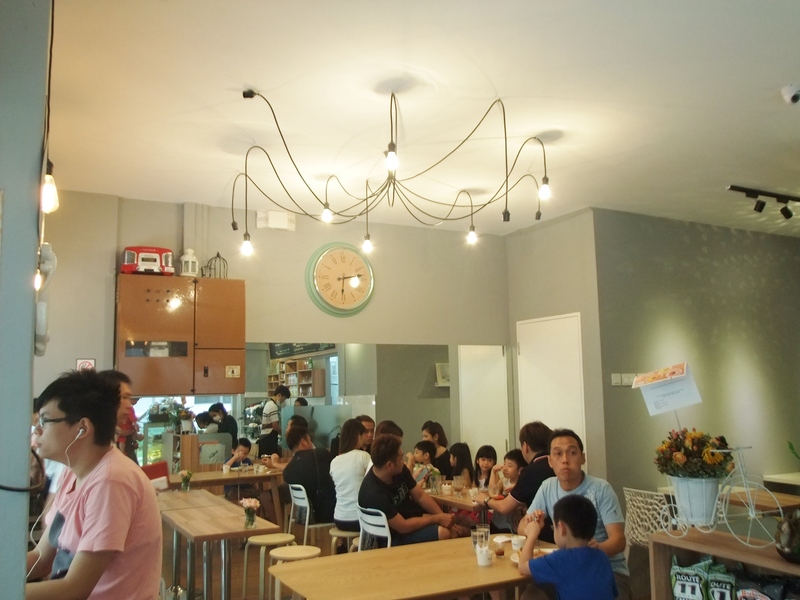 28/6/2014 – The Old Airport estate has been an enclave of cafes in recent times. 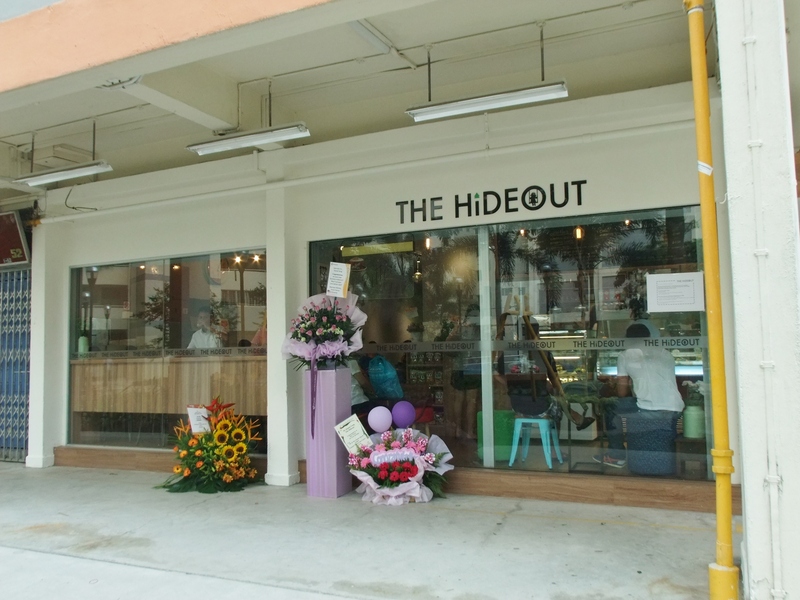 The Hideout, a 2-week old cafe, that is situated next block to Maple & Market, is one of the newest addition to this quiet estate. 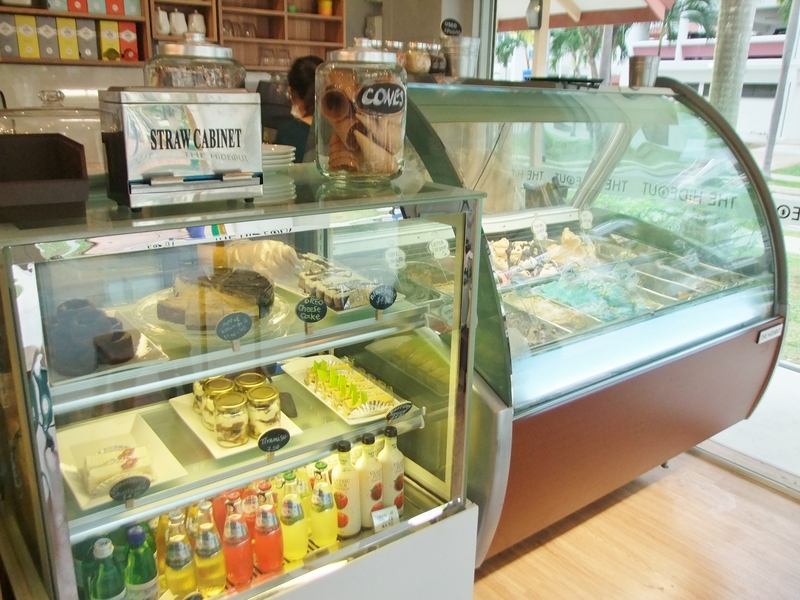 Besides specializing themselves in ice creams & cakes, a small selection of coffee (from Vittoria Coffee) and tea are available. The Blackforest Shortcake ($4.80) is rather normal. 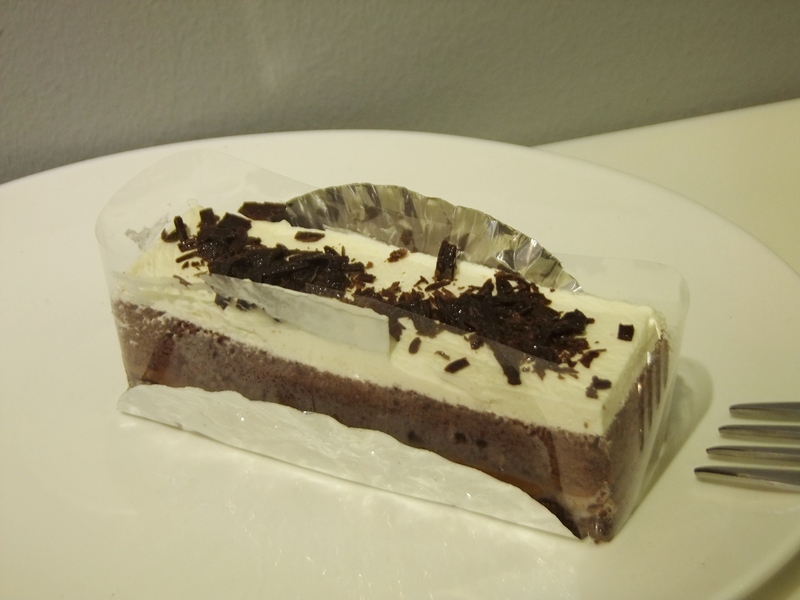 The chocolate taste is just nice, but the top layer felt more like cream cheese than whipped cream. The tinge of cherry taste is absent as well, making it feel less like a black forest cake. 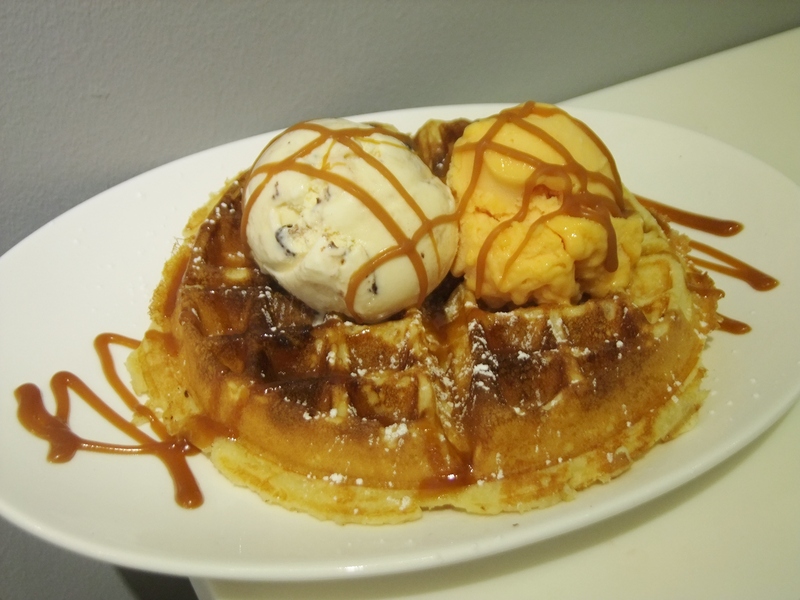 The Buttermilk Waffles with Italian Cookies & Mango Passionfruit ($11.90) is also rather disappointing. The waffles is slightly crisp and soft, but the buttermilk taste was less apparent. The Italian Cookies and Mango Passionfruit ice creams tasted chocolatey, fruity and sweet, but are otherwise rather normal. A great addition to this neighbourhood as this place did not had a ice cream parlour (though there is another Korean ice cream parlour that opened recently quite near to Brawn & Brains). 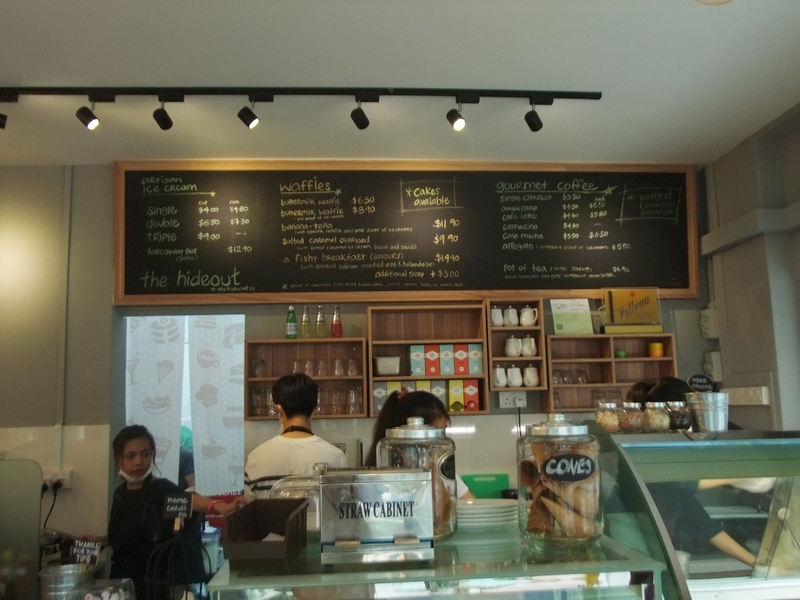 The service staffs are friendly though they could have handled orders better. If you are around the Old Airport area looking for something to chill in the hot weather, this place is one suitable place to visit!